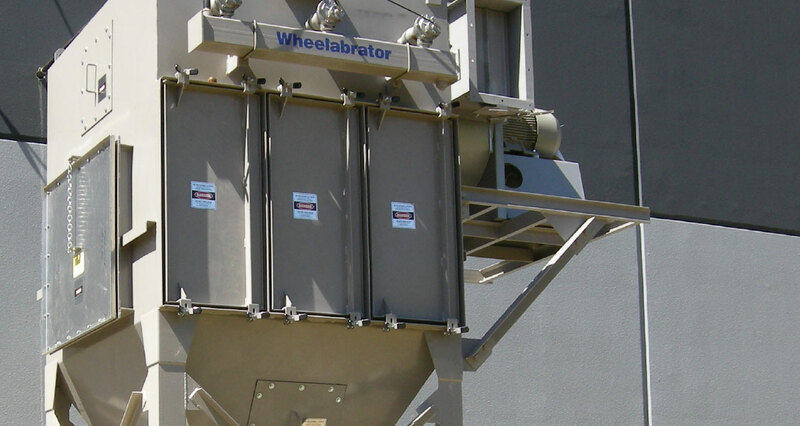 Cartridge collectors are cost efficient for small scale dust control due to their compact design. Our fleet of cartridge collectors can process a wide range of gas flows and materials at operating temperatures up to 475 degrees Fahrenheit. 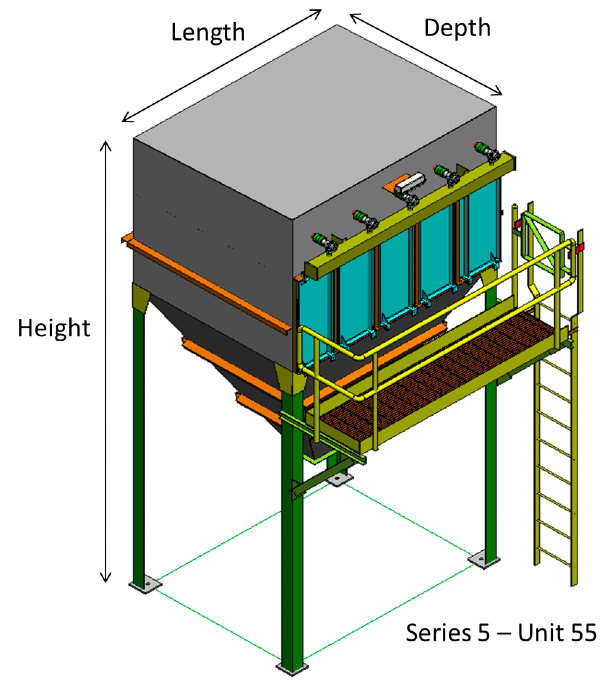 Pre-engineered units are available for gas flows as high as 50,000 ACFM and are adaptable to meet specific customer needs. Larger designs can be customized to fit your unique application. In house product specialists and engineers are available to discuss the best options for you. Dust laden air is pulled into the collector via an induced draft. 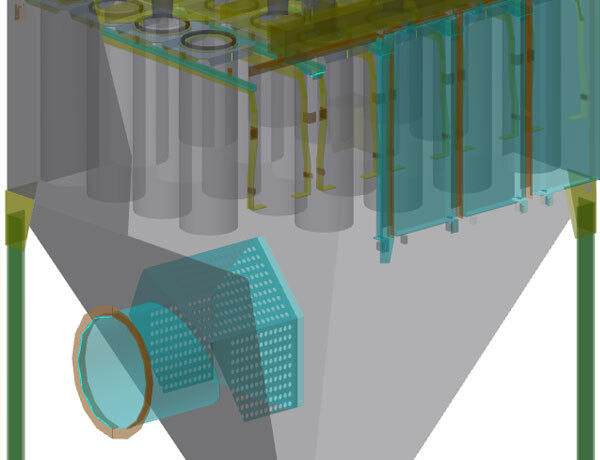 The air travels through our engineered diffusion-type baffle located at the inlet of the collector. 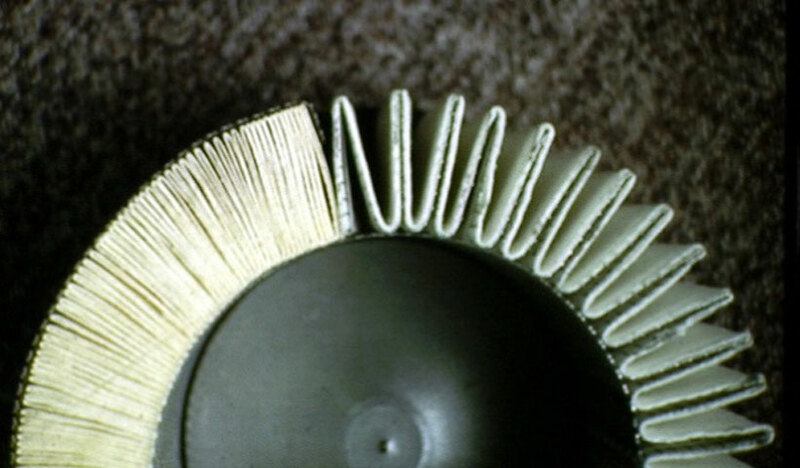 The air is then pulled through a pleated cartridge filter, where dust is captured on the outer surface of the filter. 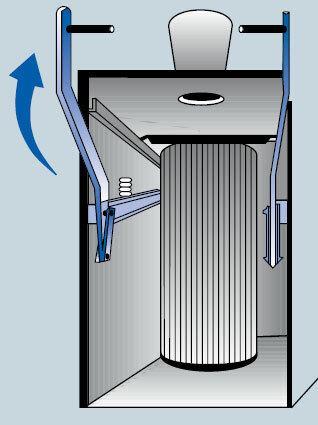 Clean air passes through the filter to the clean air outlet. 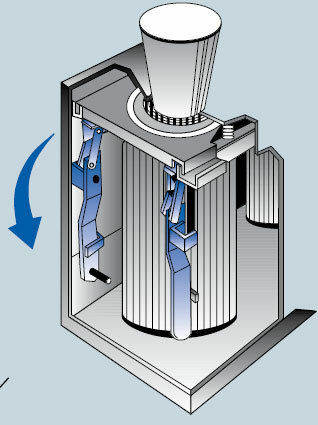 The cartridges are automatically cleaned of the collected dust as the pressure increases. The on-line cleaning system consists of a compressed air pulse initiated by a timer and activated through a solenoid valve. 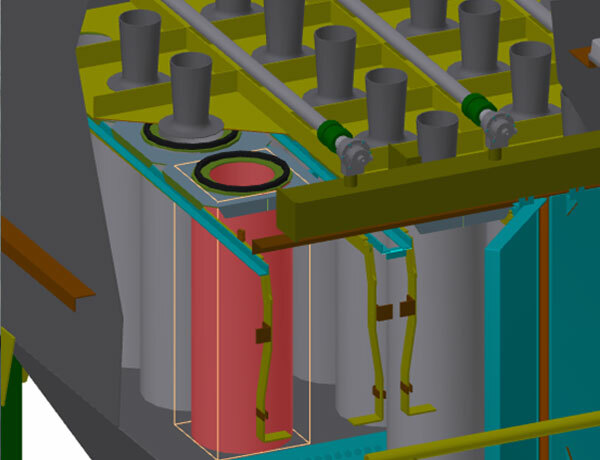 The pulse system has a pressure flow characteristic to give maximum power in a minimum time frame. This stops air flow through the element in the filtering mode and reverses the flow in order to dislodge the collected dust. 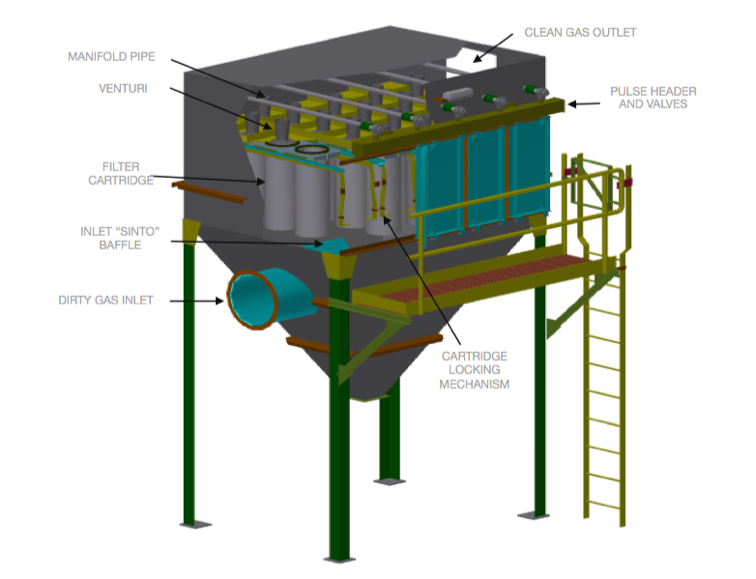 Reduces particulate load to the filters and creates a uniform air flow distribution throughout the unit. Sealing the filter element is both simple and positive. The self-locking filter elements facilitate changeout and virtually eliminate dust leakage at the tube sheet seal. 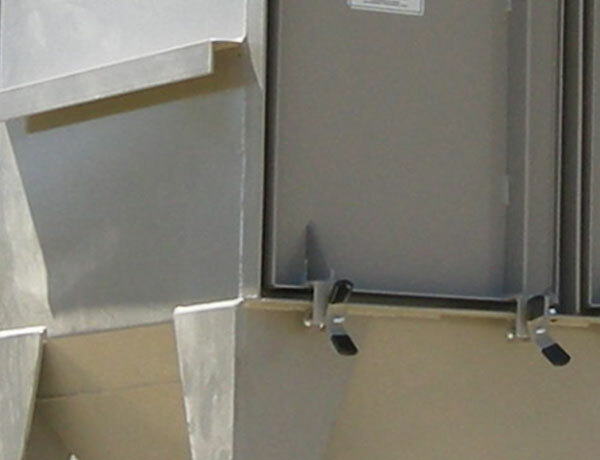 There are no bags, cages clamps or hardware to be replaced during an element changeout. 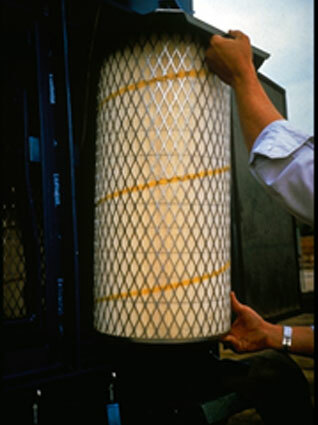 Filter element replacement is performed from outside the unit, eliminating the need to enter the collector with a patented locking mechanism. Pressure- +20 in. w.g. to -20 in. w.g.